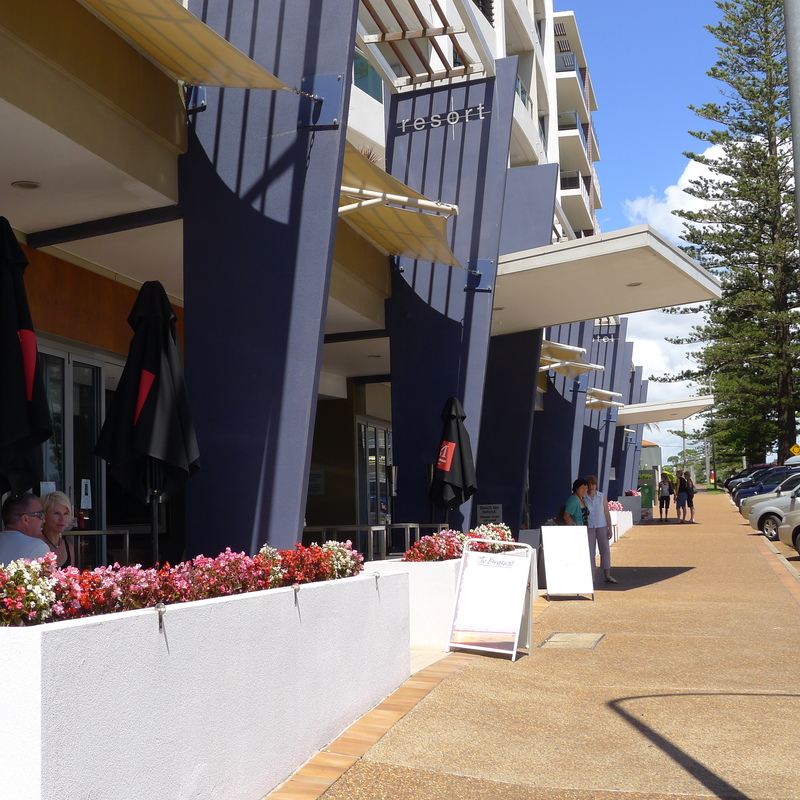 Since it’s holiday season in Sydney we decided to take a road trip to Port Macquarie to sample a regional café. It was a warm day in January and we headed for a place close to the beach. There was a café brimming with life but unfortunately no free tables so we decided to try The Breakwall Café further down the road that had plenty of free space. The menu looked good however the staff were not very attentive. It was too hot for coffee so we ordered the mixed berry frappe ($6). 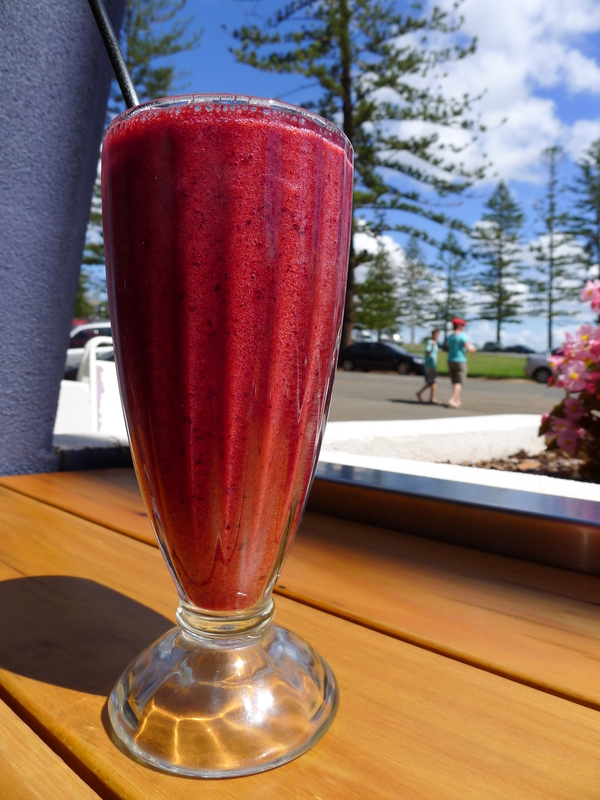 It was icy cold and true to its name, consisting of raspberries, blueberries and strawberries. There was cold water available in jugs which is especially nice in summer. 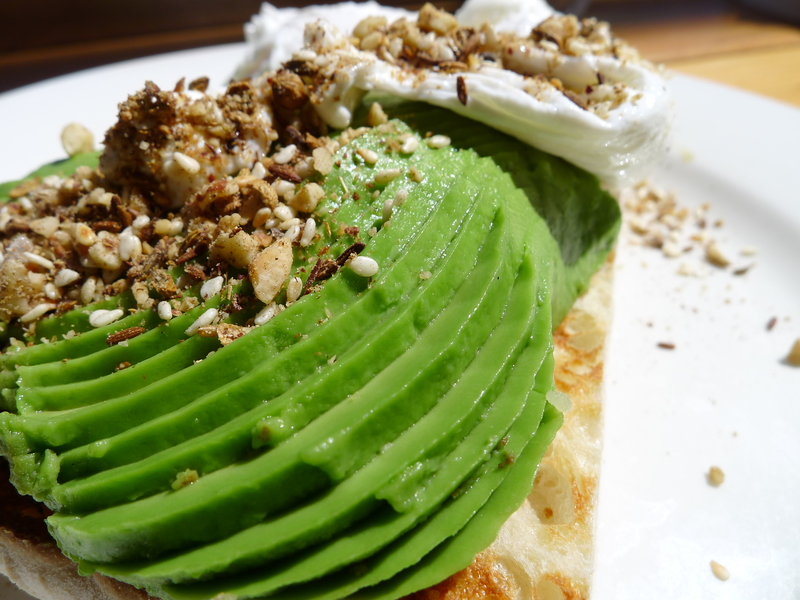 Next up was the dukkah delight ($13) which included poached eggs, served on Turkish bread with smashed avocado, sprinkled with house made dukkah. The avocado wasn’t smashed, the egg tasted sour and it came with only one piece of toast. We had to hunt down the waitress to order another piece and satisfy our hunger. We recommend serving the dukkah on the side, possibly with a slice of lemon and if you advertise smashed avocado- well then smash it. 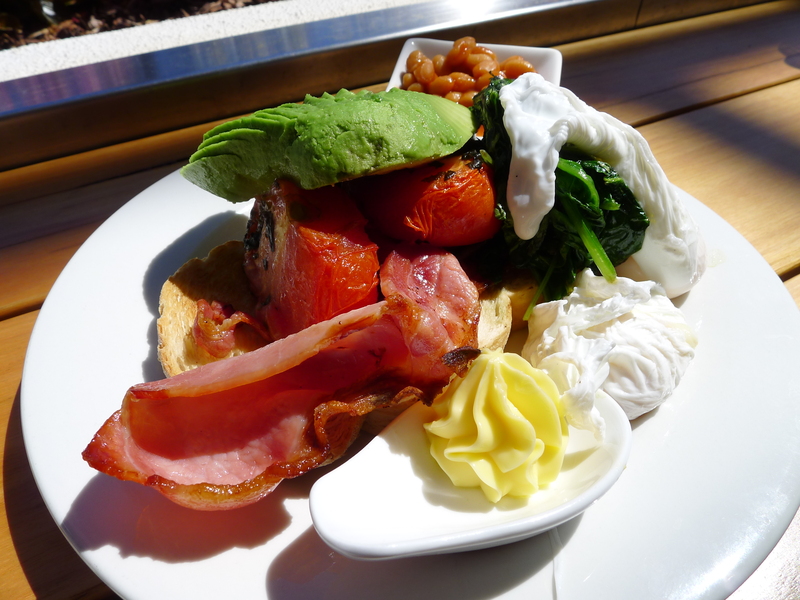 Our guest ordered the Breakwall Big Breakfast ($17.50) which was a monster on a plate. This wasn’t necessarily a bad thing. It looked ugly but delivered on taste and quantity. It included two eggs (served any way), bacon, sausage, mushrooms, tomatoes, hash browns, baked beans served with thick toast. We were ignored while waiting at the counter to pay. Perhaps it’s just a case of city folk expecting fast service, however we were not left wondering why the café was so empty. Next time we’ll try the cafe up the road or order a hotel breakfast instead. The patrolled Town Beach is only a stroll away. 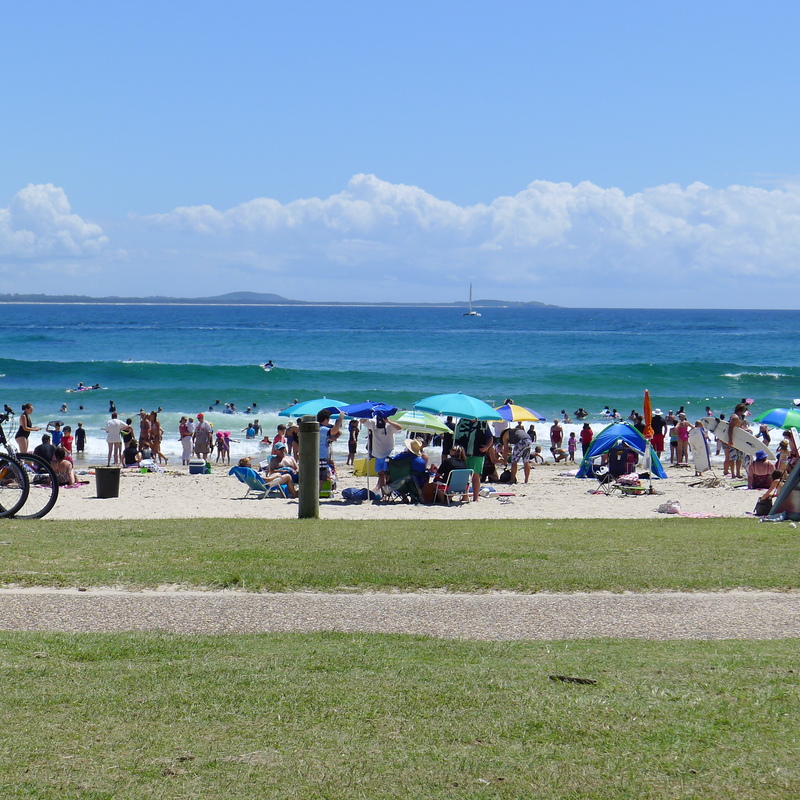 We recommend packing an esky with lunch inside because once you get to the beach you won’t want to go home. Port Macquarie is about a 5 hour drive from Sydney. The flight is only 40 minutes which makes it a perfect getaway for a long weekend. This entry was posted in Regional New South Wales and tagged Parking close by, Water glimpses. Bookmark the permalink.